Frank Newbould: Historic Bath. British Great Western Railway & L.M.S. poster. 102 x 63cms (40 x 25 inches). c. 1930. Mounted on linen. Category: Travel Posters. 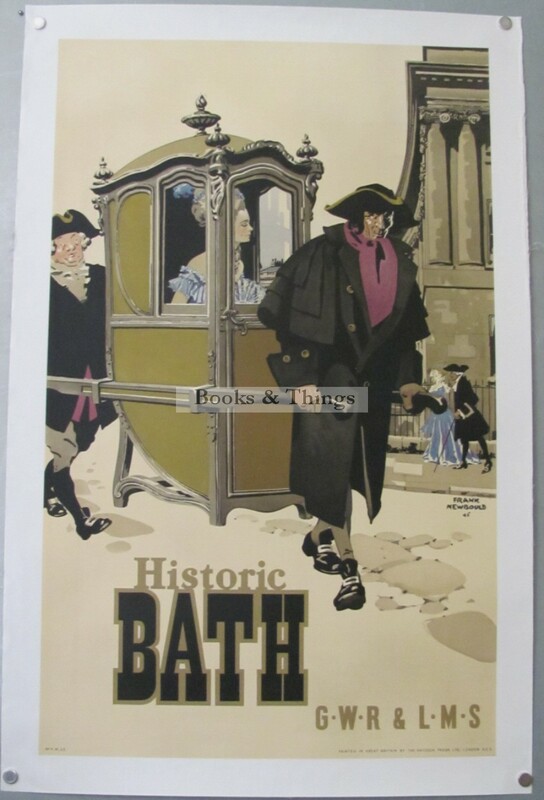 Tags: Frank Newbould poster, Frank Newbould poster for sale, GWR poster, Historic Bath poster, LMS poster.